After taking a public shaming from Gov. Chris Christie, R-N.J., House Speaker John Boehner, R-Ohio, relented today to hold a vote this Friday for one of two aid packages aimed at providing relief for states hit by superstorm Sandy. Shortly before Boehner announced his reversal, Christie joined a chorus of Republican and Democratic lawmakers decrying House GOP leadership for stalling on a $60.4 billion Sandy recovery package. "There's only one group to blame for the continued suffering of these innocent victims: The House majority and their speaker John Boehner," Christie told reporters in a press conference today. "Last night, my party was responsible for this." The House was expected to vote last night on a $60.4 billion package that would have provided disaster aid to states hit by superstorm Sandy more than two months ago. The Senate passed a similar measure last week, and Christie said he was receiving "assurances" that the bill would "get done" as late as 9 p.m. ET on Tuesday night, Jan. 1. Ultimately, however, Boehner decided not to take up the bill for a vote, and Christie said he was informed of the decision just minutes before midnight last night. "I was called at 11:20 last night by Leader [Eric] Cantor and told that authority for the vote was pulled by the speaker," Christie said today. He said his own attempts to get through to Boehner were unsuccessful. "I called the speaker four times. He did not take my calls," he said. "All I can tell you is this was the speaker's decision -- his alone." 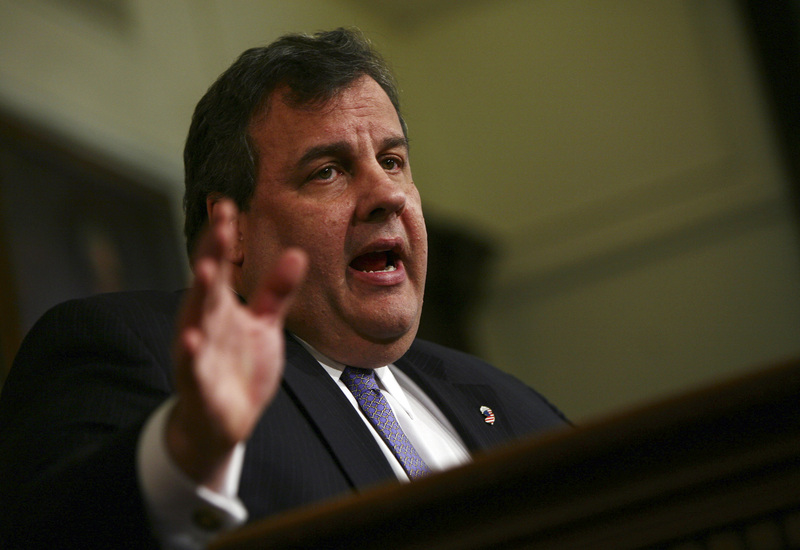 Christie condemned the decision as "unprecedented," "outrageous," and politically motivated. He also took a swipe at the work of Congress members: "Unlike people in Congress, we have actual responsibilities," Christie said. "I think, unfortunately, folks are putting politics ahead of their responsibilities," he said. "It's absolutely disgraceful... It's why the American people hate Congress." According to a Republican leadership aide, the legislation was not taken up in part due to timing: After months of fraught negotiations, Congress yesterday signed off on a bill that many Republicans opposed, in part due to new hikes in tax rates for the wealthy. The aide cited assurances from FEMA that there are sufficient disaster response funds to last through March, and Boehner told New York and New Jersey members that the disaster relief package will be his number one priority in the new Congress and will happen within the month. But Christie, who spoke to Boehner this morning, said he had been given no "credible" reason for the holdup, and had "no reason for me to believe anything they tell me, because they've been telling me stuff for weeks, and they didn't deliver." Even while distancing House Majority Leader Eric Cantor, R-Va., from his critiques somewhat, the famously outspoken Republican governor expressed disgust and disappointment with the "know-nothings" in Congress who held the bill up. "Last night, politics was placed before our oaths to serve our citizens. For me it was disappointing and disgusting to watch," he said. "If the people of New Jersey feel betrayed today by those who did this in the House last night, then they have good company. I'm with them." Not long after Christie's remarks, Boehner said he would bring two Sandy aid packages to the floor: A $9 billion package this Friday and a $51 billion package when Congress returns January 15th. The $9 billion vote will be on flood insurance only.